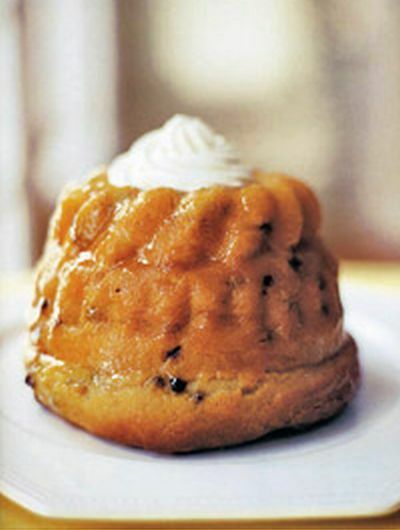 Baba au Rhum (French spelling for rum) is basically a cake made from yeast dough containing raisins or currants. 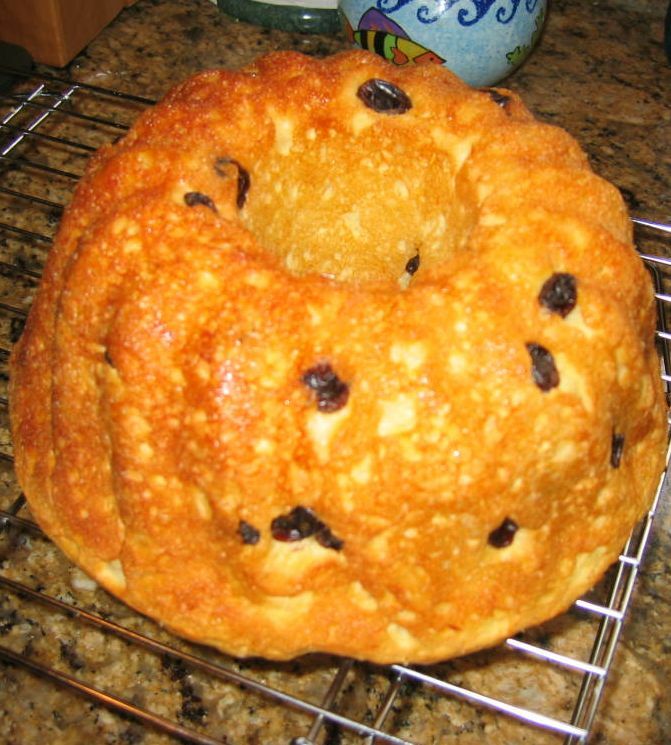 It is baked in cylindrical molds and then soaked with sugar syrup usually flavored with rum. 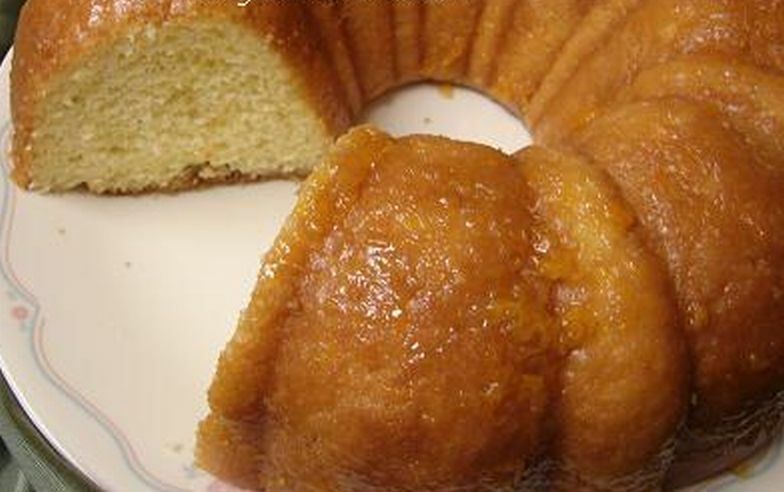 The cake is really moist, has a slightly harsh rum bite, but I added a little vanilla to the syrup and it rounds out the flavor perfectly. 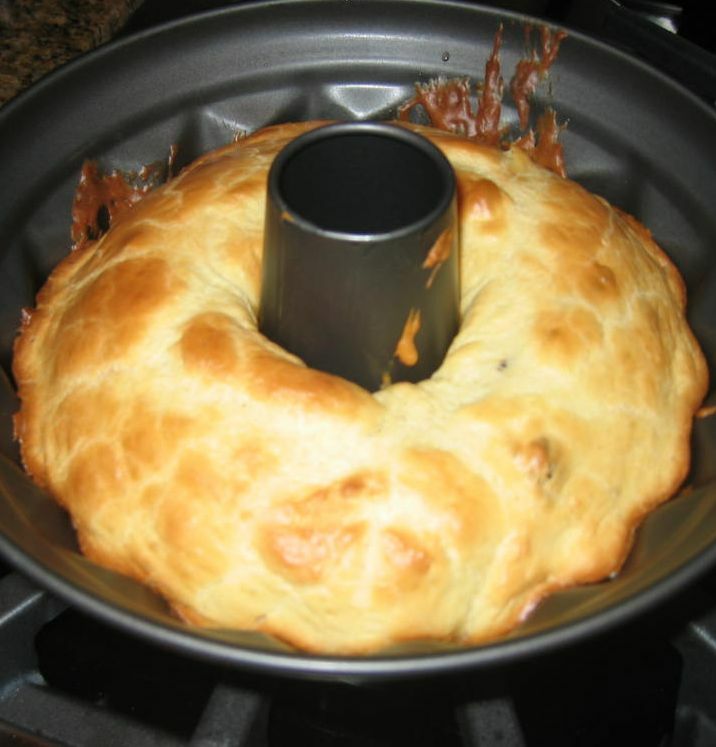 For this cake you will need to buy a Kitchen aid stand mixer. The hand mixer will not be able to handle this dough. It is thick and elastic. 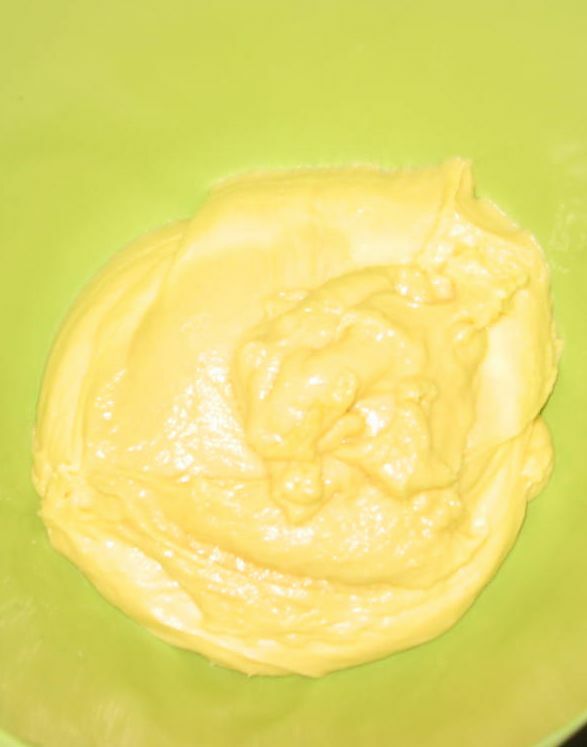 The dough is made with flour, yeast, milk and sugar. After an hour or so of resting in a warm place the dough rise up to double the original size. 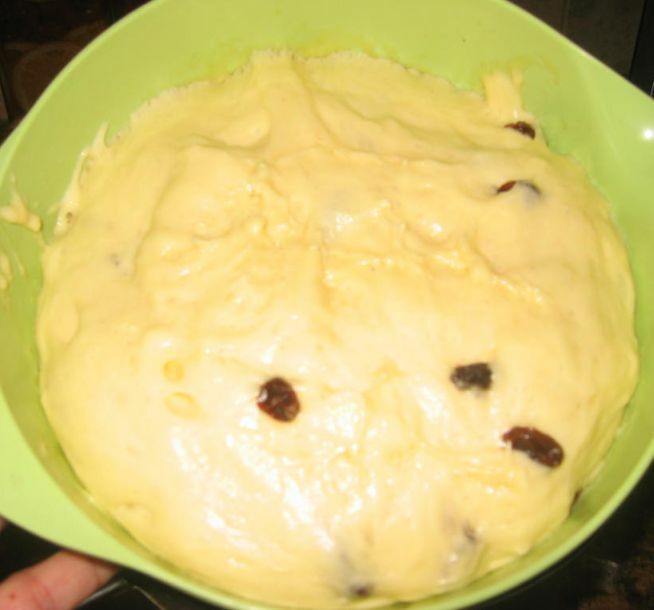 The raisin is added to the dough and then it will rest for another hour or so. Fresh out of the oven. It is on a cooler rack before I can add the syrup. 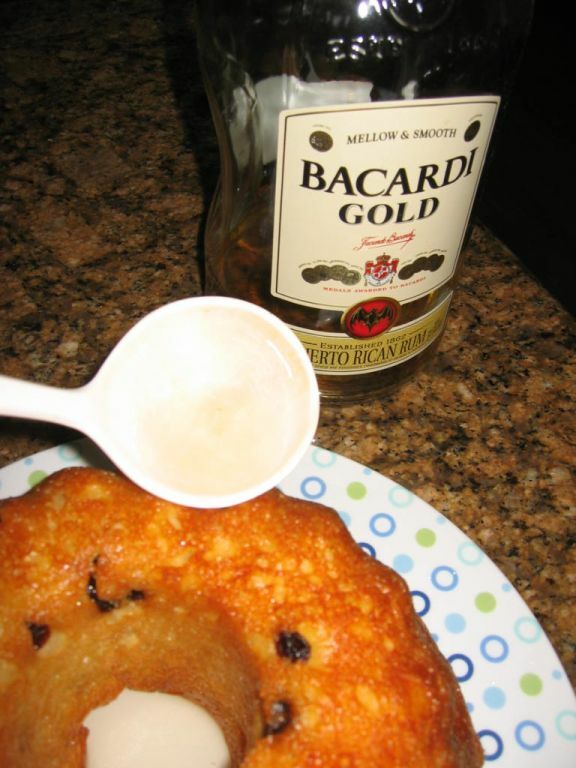 The syrup mixed with rum is now added to the cake. 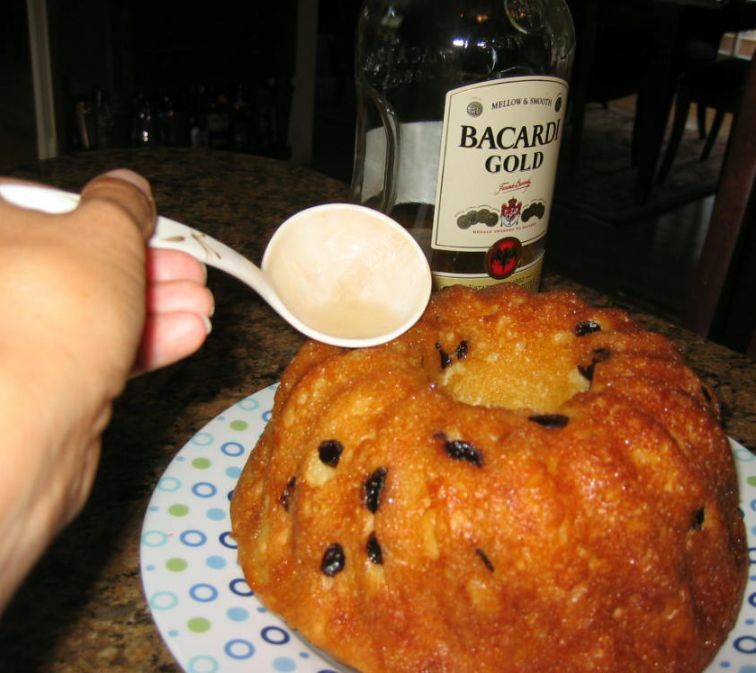 The cake will absorb all the mixture (about 1 1/2 cup) and the outcome is a soft, moist and filled with rum flavor!